The model employed in our article on how to prevent cancer is simplicity at its best. If you can prevent abnormal cells or cancer precursors from developing at their earliest stages by supplementing with vitamin D, then you have effectively blocked cancer from ever developing in the breast. With the DINOMIT model of breast cancer development, the importance of family history is reduced to practically zero. In this article, we will get into more of the details discussed in the UCtelevision video presentation of the basics of cancer biology. In other words, Breast cancer is a vitamin D deficiency disease. 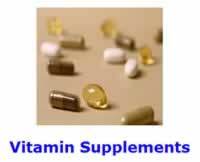 [Baggerly 2013] In addition, most age-related epithelial cancers are a vitamin D deficiency disease. Carcinomas are a specific type of cancer that begins in the outer epidermis tissue layer of organs, which can arise in the breast, colon, liver, lung, prostate, and stomach. Using our example of breast cancer, cancers originating from ducts are known as ductal carcinomas; while those originating from the spherical breast lobules that produce milk are known as lobular carcinomas. A tumor, or neoplasm, is an abnormal growth of tissue resulting from uncontrolled, progressive multiplication of cells serving no physiological function; which can be either benign or malignant (i.e., cancerous). Conventional medicine's classification of breast tumors as being benign or malignant is merely a word game. A benign tumor is still abnormal. It simply has NOT obtained enough of the characteristics of cancer to be called cancerous. What these oncologist doctors do NOT tell you is that given enough time all benign tumors will eventually become malignant. The DINOMIT Model Of Cancer Development begins to make a lot more sense once you start exploring the characteristics of precancerous cellular abnormalities that develop in people over time. In the DINOMIT Model Of Cancer Development, "ten mechanisms have been reported that account for the role of vitamin D and calcium in reducing cancer incidence and mortality." We can now match up the characteristics of precancerous cellular abnormalities, shown on the left, along with the corresponding first seven less technical vitamin D mechanisms of action that normalizes these cellular degenerative tendencies, shown on the right. Using the example of breast cancer, cancer develops over a period of 15 to 20 years and goes through approximately five different stages before it can be diagnosed as full blown cancer. Once full blown cancer has been established, breast cancer goes through an addition three or four more stages of progression. We can match up the conventional stages of precancerous development along with the corresponding DINOMIT phase of cancer development going off of figure 9 in the corresponding DINOMIT Model research study. The long and the short of it is that one of the main therapeutic actions of vitamin D is to reverse this pathological process with E-cadherin upregulation (i.e., turns the E-cadherin gene back on). Phase 0: Vitamin D Insufficiency - The DINOMIT Model makes more sense if you were to add a missing starting phase of vitamin D insufficiency. In the vast majority of females, what conventional medicine considers NORMAL is not at all normal. Abnormalities exist at the molecular level. At the very least, the epithelial breast cells have vitamin D receptors which are missing an attached vitamin D molecule. For the next stage of epithelial cells growing where none should be, quite obviously something else must be going on. The so called normal breast ducts must be starting to lose their intercellular communications regarding what is normal cell differentiation, at the very least. The existence of this breast cell abnormality is simply NOT visible at the level of magnification shown in this graphic. Intraductal hyperplasia - An abnormal increase in the number of normal cells, in normal arrangement, in a duct of the breast, which increases its total mass size. Phase 1: Disjunction - From here on out the DINOMIT Model is talking about the row of abnormal cells that has grown where there should NOT be any. While still NOT visible at this level of magnification the abnormal cells are starting to loose their tight junctions and starting to separate. Intercellular communications are being lost. Contact Inhibition has been lost. Intraductal atypical hyperplasia - The breast ductal cells begin to exhibit abnormal features. Phase 2: Initiation - DNA errors start to occur in the devolved cells which grow at a faster rate. The separation of the cells starts to become visible at this level of magnification. Intraductal carcinoma in situ - A local breast cancer that involves only the place in which it began and accordingly has not spread. Intraductal carcinoma in situ does not form tumors. Instead the cancerous lesion remains flat against the walls of the breast duct. Phase 3: Natural Selection - The devolved cells begin rapidly dividing with the most aggressive dividers ending up producing a flat ribbon of growth along the wall of the breast duct, which starts to dissolve through the epithelial wall. Phase 4: Overgrowth - Rapid division continues even to the point of filling up the entire interior of the duct. Invasive ductal carcinoma - A local form of metastasis in which the carcinoma cancer has spread to the outside of the breast duct of origin. Phase 5: Metastasis - Cancer cells begin to break through the stroma, or the wall of the breast duct. When Metastasis has occurred at a local level the malignant caner cells are now able to freely migrate to the rest of the breast, and ultimately to the entire body when cancer cells start to migrate to other tissues, such as the brain, lungs, and liver through the lymph nodes located under your arms, or in blood circulation. Vitamin D is effective at preventing, and even treating, Breast Cancer. In conclusion, the Natural Health Perspective has found that vitamin D is an effective therapy for preventing breast and at least 17 other kinds of cancer[Grant 2009]. Vitamin D upregulates the E-cadherin molecule which is an important part of the connection that is supposed to exist between NORMAL epithelial cells. In other words, Vitamin D turns the the E-cadherin gene back on. This is important because E-cadherin is a potent tumor suppressor that inhibits cancer invasion and metastasis. Older adults should keep their blood serum 25(OH) D levels higher than younger people because they are in effect managing a chronic health condition that can become acute, and potentially fatal, if they lower their blood serum levels too low, too soon. Secondly, they obviously have a bigger reservoir of undiagnosed disease that their blood serum 25(OH) D levels has to deal with. E-cadherin upregulation provides the following benefits. Prevents ADDITIONAL precancerous cellular abnormalities from developing, in the first place. Prevents Pre-Existing precancerous cellular abnormalities, cancer, and malignant tumors from getting even bigger, or growing in size. Gradually shrinks the size of Pre-Existing precancerous cellular abnormal growths, cancer, and malignant tumors by normalizing and/or killing off tumor cells with apoptosis as well as a strengthen innate immune system with natural killer cells; one rogue cell at a time. Vitamin D does NOT work instantly. Your reservoir of undiagnosed disease took between 15 and 20 years to develop. Thus, you have to give vitamin D sufficient time to perform E-cadherin upregulation, one cell at a time. UCtelevision - Series: "UCSF Osher Mini Medical School for the Public"
Epithelial-mesenchymal transition in development and cancer: role of phosphatidylinositol 3' kinase/AKT pathways. Oncogene. 2005 Nov 14;24(50):7443-54. Review. Double strand RNA-guided endogeneous E-cadherin up-regulation induces the apoptosis and inhibits proliferation of breast carcinoma cells in vitro and in vivo. Cancer Sci. 2010 Aug;101(8):1790-6. Epub 2010 Apr 21. Vitamin D and cancer: a review of molecular mechanisms. Ecological studies of ultraviolet B, vitamin D and cancer since 2000. Ann Epidemiol. 2009 Jul;19(7):446-54. Epub 2009 Mar 9. Review.